The waviness look pretty consistent. I even used a ruler (not in the demo) to produce more accurate motion but result is the same. You can see end line "dancing" around the tip while moving. 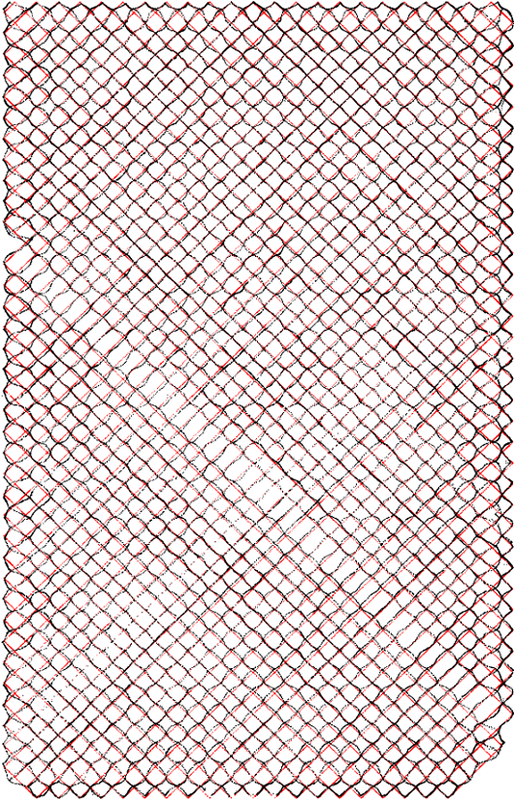 It shows that some points tend to come closer to horizontal lines placed at the same step. Waviness doesn't depend on tablet performance. No matter if everything is slowed down by something in the background or if it in the tablet at the best performance mode. Is there any chance to solve this issue? Note: if the Stylus works normally in the HP computer, then perhaps there is an issue with the Dell's pen sensor, or some software setting need to be changed. The Dell Venue 5855 Pro has Wacom AES technology. It is mentioned in the press-release of this device. I know that previous generation of Dell Venue 8 Pro was using different technology. I also located device in the device manager. 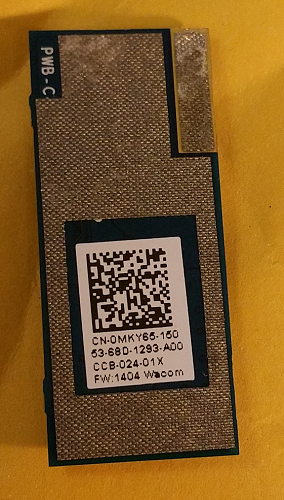 Device identifies itself as HID\WCOM4809&Col04. It works with Bamboo Ink in AES mode. I forgot to add that Dell Active Pen drivers for this tablet install a Wacom driver as well. So, is there any chances to fix waviness? Is it just calibration problem? I don't think the driver would cause this. If the calibration doesn't work, it's most likely a firmware issue, or a Hardware issue. We know the Bamboo Ink is not the issue here. Please check with Dell as well. which communicates with tablet by i2c protocol. The red points represent expected stylus position, black points are readings from the stylus. 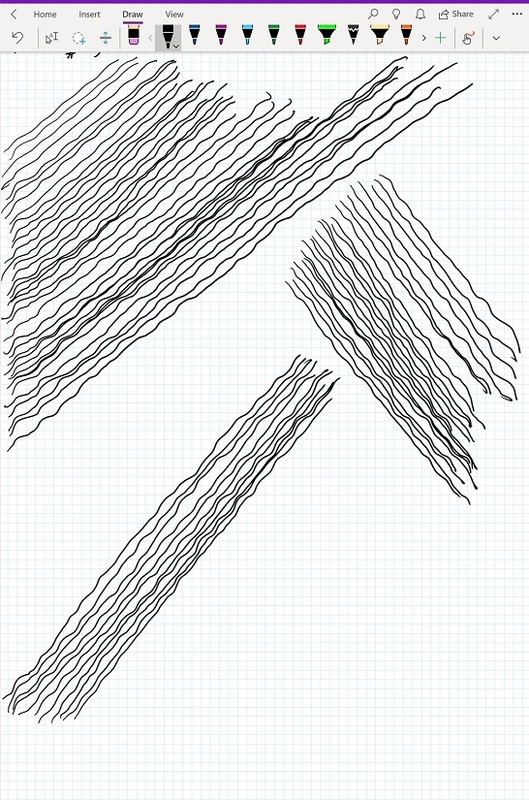 It looks like pattern is periodic and I can guess that the issue is with the shape of touch electrodes on the screen. I check 3 other Dell Venue 8 Pro 5855 devices. They all have the same pattern. I doubt that it is an issue of one particular tablet. Is there any possibility to update the controller board firmware to solve this issue? I'm using Bamboo Ink Stylus. Can replacing of stylus solve this issue? I mean if all wacom aes enabled styluses have the same physical characteristics and replacing the stylus wouldn't solve the problem due some design flaw of some component?